Vintage picture frame on wall, clipping path. Electric outlet in old wall. 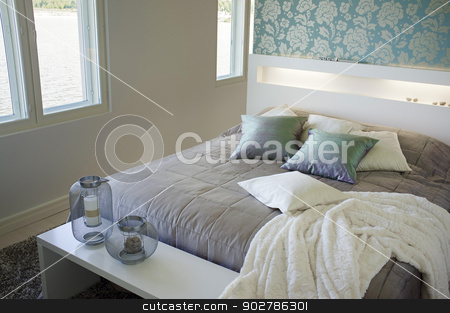 Contemporary small bedroom interior decor.